Earlier today Hockey Canada invited 111 players to attend their U-17 Summer Development Camp in Calgary, AB from July 21-27. Among the invitees were Giants 2002-born prospects Justin Sourdif (F – Surrey, B.C. 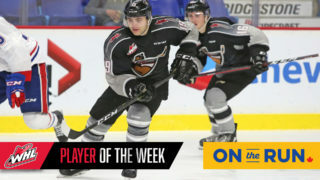 ), Joel Sexsmith (D – Edmonton, AB) and Cole Shepard (F – West Vancouver, B.C.). 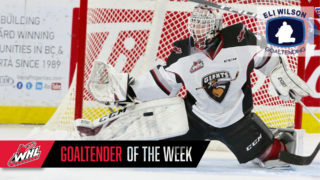 Sourdif was selected third overall by the Giants in the 2017 WHL Bantam Draft. 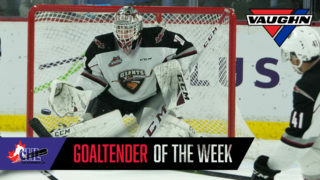 He appeared in four regular season games with the G-Men as an under-ager and then suited up in all seven of the Giants first round playoff games against the Victoria Royals. During his midget season with the BCMML’s Valley West Hawks he set a new single season franchise record with 73 points through 35 games. He was named BCMML Player of the Year and helped guide Team BC to a 2017 WHL Cup championship back in October, 2017. Sexsmith was acquired by the Giants in a January trade deadline deal with the Swift Current Broncos. Originally Sexsmith was selected ninth overall by the Broncos in the 2017 WHL Bantam Draft. Like Sourdif, he also suited up in four games for the G-Men as an under-ager. In 19 games with the Edge School Midget Elite 15s he scored three goals while adding 13 assists for 16 points. He won a Silver Medal with Team Alberta at the 2017 WHL Cup. 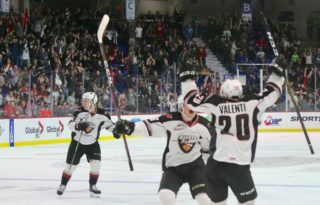 Shepard was selected by the Vancouver Giants in the second round (33rd overall) in the 2017 WHL Bantam Draft. Shepard spent last season with the Delta Hockey Academy and posted 19 goals and 34 assists for 53 points through 34 games played. He also captured Gold at the 2017 WHL Cup as a member of Team B.C. 29 of the 111 players invited were drafted into the WHL in 2017.